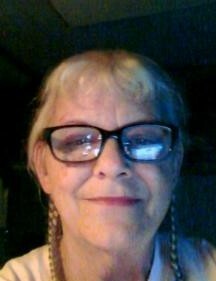 Christy Lynn Miller, age 63, of Osgood passed away on Wednesday February 6, 2019 surrounded by her family. She was born on March 1, 1955 the daughter of the late Jack and Jaqueline (Flowers) Haines in Anderson, Indiana. Christy worked various jobs and most recently retired from Hill-Rom in Batesville. She enjoyed her family and was always willing to help in anyway possible. She is survived by sons; Jason (Haley) Joy of Alabama, Jered Miller of Osgood, and Michael Miller of Lawrenceburg, grandchildren; Justin Joy, Kienan Joy, Destiny Miller, and Gabby Miller, along with great grandchildren Payten and Carter Joy, and brothers John and Morey Haines, and sister Cathy Ann Samner. She was preceded in death by husband of nearly 40 years Edward Miller. Visitation will be held on Saturday February 9, 2019 from 4-5 pm. at Neal’s Funeral Home in Osgood, followed by funeral services at 5 pm. Memorials maybe given to the Ripley County Humane Society in care of the funeral home.